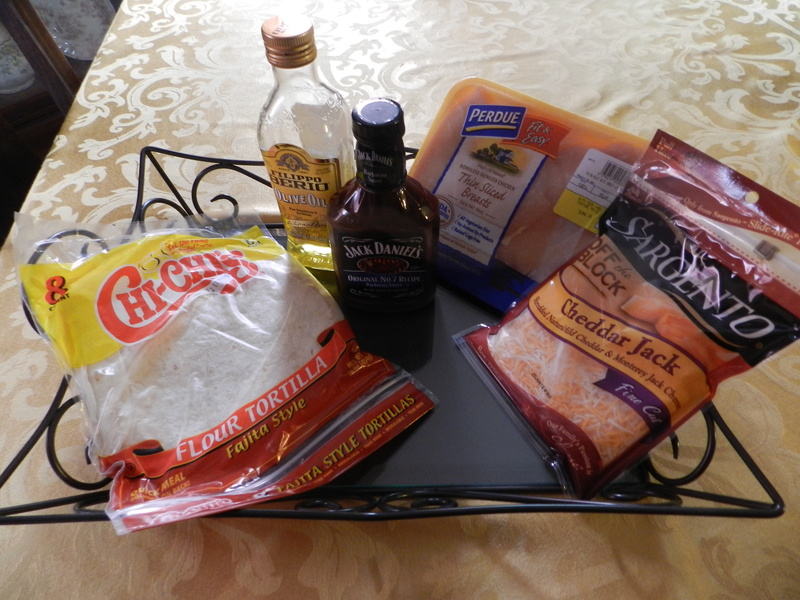 Today’s Monday Mealtime Recipe is BBQ Chicken Quesadilla. This is a really simple recipe and requires only a few ingredients. It is a big fan favorite and I sometimes make it as an appetizer. Put one fajita shell in the bottom. Place a scoop of chicken in the center top with a dollop of BBQ sauce and a handful of cheese. Be sure to put the ingredients in the center because they will spread out the sides. If you put the ingredients to close to the edges you will have a huge mess on your hands. Place the second fajita shell on top and close the quesadilla maker and let cook for about two minutes. Shell will be golden brown and cheese will be melted when it is ready. Be careful taking the quesadilla out it will be hot! Coat the pan with a little olive oil or non-stick spray. Put one fajita shell in the pan. Place a scoop of chicken, some barbecue sauce, and a handful of cheese on top of the fajita. Spread all the ingredients out evenly over the shell. 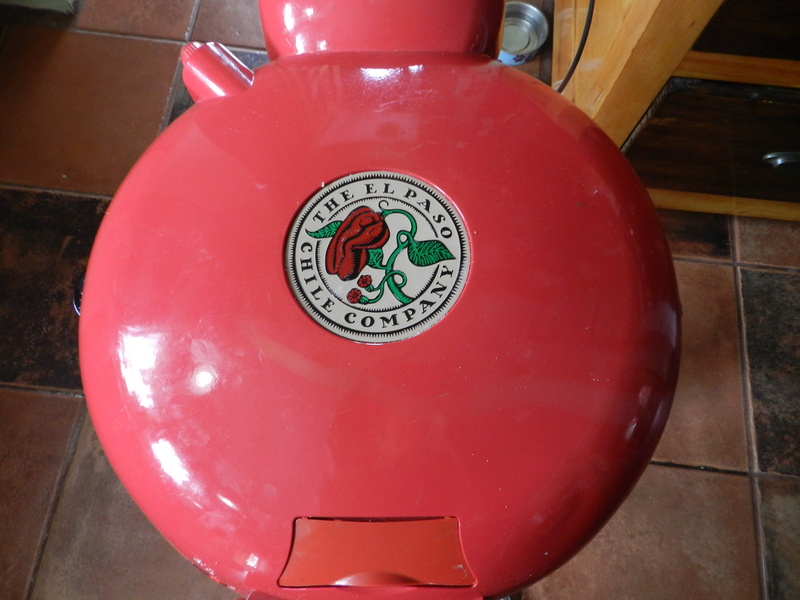 Put another shell on top and cook on medium low heat for a minute or two then flip and cook on the other side. 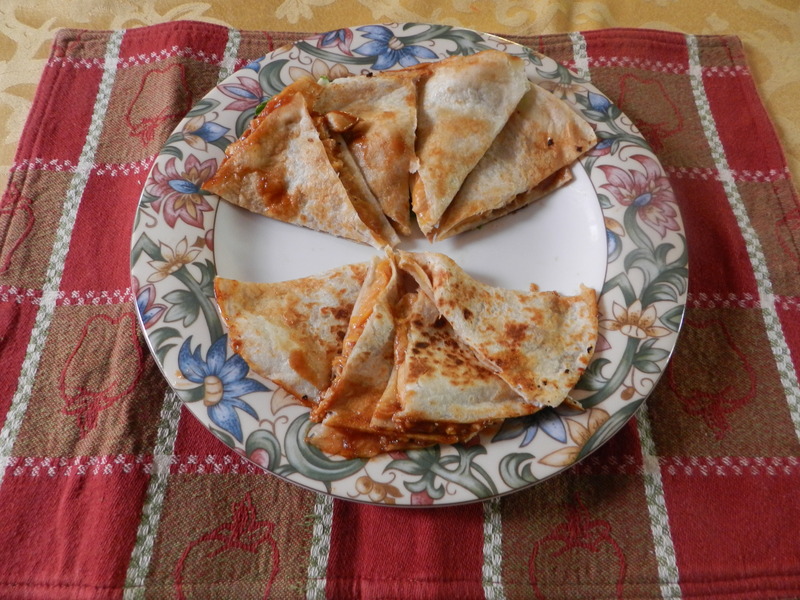 Tips for cutting the quesadilla- use a pizza cutter!